Everyone is located in NSW and not all our rescues are seniors (or silkies). Remember, we don't freight doggies to new homes so adopters have travelled for long distance/interstate adoptions. We used to specify NSW/ACT only, so have come to a happy compromise for those in other states willing to make the trip. ​Have a good read of as much information as possible, we have tried to include lots of detail. Scroll to the bottom to see our upcoming dogs as well. Check out our 'How Adoptions Work' page. Adoption fees vary but always include vaccination, microchipping, desexing, dental, heartworm test, allworming, flea control and up-to-date heartworm preventative as standard, then any extra requirements. Carers work on housetraining and basic manners. Time in foster care allows carers to assess behavioural aspects. Each doggy leaves us with a collar, harness, leash, name tag and few little gifts to make settling in easier. Adoptions are finalised only after a three week trial period. *We do not third-party freight dogs to new homes, approved applicants must be willing to travel. *All adoptions are finalised only after a three week trial period. *SSR has a lifetime return policy agreement guarantee for all our animals, as stated in adoption paperwork. *All dogs over 10yrs have pre-operative blood tests to ensure fitness for surgery. *Dogs are available for adoption only after quarantine, assessment, vetwork and if required; health or temperament rehab time. Adoption fees do not reflect the overall monthly veterinary, upkeep and rehabilitation cost, with the shortfall covered by carers, sponsorship and welcome tax deductible donations. 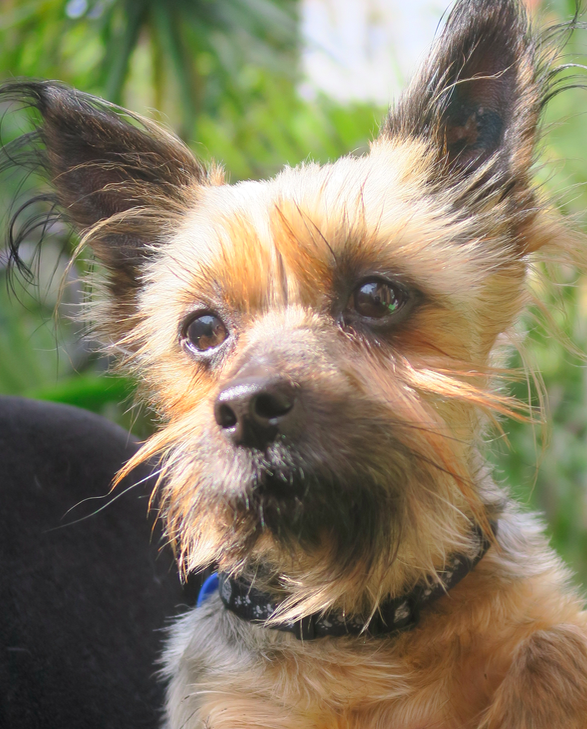 Despite age or origin, dogs may have suffered additional trauma or neglect and work may be needed before they are deemed fit and ready for adoption. For example: dental care, hernia repair, rear dew claw removal, lump or tumour surgery, biopsies or pathology, ear flush and ear canal infection treatment. Ulcerated eyes, cherry eye or dry-eye. Upper respiratory or urinary tract infection. Pneumonia. Full blood panels to aid diagnosis, urine testing, rehydration therapy, joint support injections, skin or fungal infection treatment, antibiotics, post-op pain relief, xray, laparoscopic procedures or ultrasound. Contact or food allergies. Felted matting concealing ulcers or embedded grass seed. Specialist care, osteo care, heart and lung diagnostics. Some females arrive into care with acute uterine infection (pyometra) requiring emergency life-saving surgery. Dogs do not have a time limit in foster care whilst waiting for adoption. Dogs are not kennelled, they live in their carer's home. Dogs who are terminal or do not have a hope for quality of life are humanely euthanised in the presence of their rescuer. In keeping with our Quality Of Life policy, our unadoptable dogs remain in permanent Forever Care for the good and enjoyable time they may have left. Spaces for retirees are limited, thus limiting the numbers of geriatric senior dogs we may be able to take in at any one time. Alek is a beautiful old man who is looking for an understanding owner who is home a lot and looking for a constant companion. Alek doesn't have a tooth in his head and his tongue just hangs out giving him the extra cute factor. Alek has some issues from his past and has anxiety issues and compulsive behaviours when stressed. His new home would be best if it was a quiet home that can give him structure and routine to help reduce his behaviours. Alek has been trialled on medication, which was ineffective. He loves a daily walk only when it is cool enough. ​No children, no loud noises, just a chilled out place he can call his very own. No cats or other pocket pets, another kind, patient dog to show Alek the ropes of his new life would be okay but not necessary. ​Alek is housetrained, loves his food (a bit too much), is happy sleeping in a soft doggy bed beside yours or on it if he is allowed. If you think Alek might be the one for your home where you are willing to love a wonky old dog we would love to hear from you. Oct 2018. Brand new arrival. Terry is small and shy. Coming out of his shell, we're seeing a cheeky side! Terry has hair thinning on his back, our vet feels it's from flea allergic dermatitis (F.A.D) and the hair may never grow back 100% but we're hoping for an improvement. He's also on a roo based diet. UPDATE: Terry's hair hasn't improved at all, and his thyroid test is normal. He has started on Apoquel. We hope there is someone out there who loves tiny bald chihuahuas! UPDATE After no results on standard thyroid test Terry is booked in for the 'gold standard' thyroid test and we'll let you know how he goes. It's a lot more thorough. UPDATE FEB Negative to Thyroid and Cushings! He's on Apoquel for allergies and we're left with a diagnosis of Colour Dilute Alopecia. Totally harmless. ***** Terry's carer is yet to finish his notes. Terry has what appears to be mild idiopathic seizures, not a blackout grand mal, just a strange stiffness lasting about 30 seconds. Not frequent enough for medication. Terry's carer will add more information incl our vet's advice. 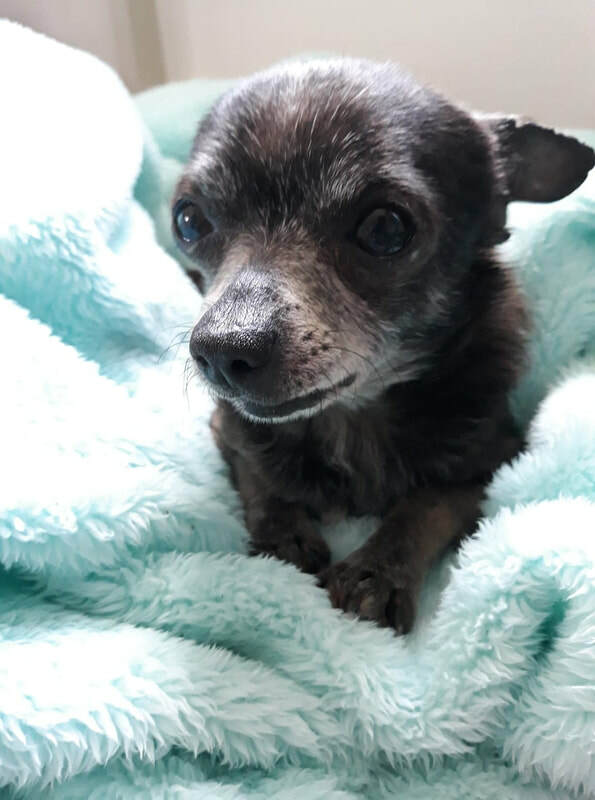 ​Personality wise, he's very chihuahua. Breed lovers will know what I mean. Our unknown breed little girl is just a happy pup. We are only able to guess her end size being over the 15kg mark, maybe even over the 20kg range, we truly just don't know. ​Dixie is as smart as she is stubborn and in true puppy style she will get away with what you let her. If not, she does sad face very well and you have to try not to laugh while she makes you feel like relenting. We are looking for Dixie's forever humans that will want her for her entire life, not just the puppy phase. Owners that will give her, her crucial socialisation period now so she has the best chance at being a happy social girl when she matures. We would ask any successful applicants to sign up to puppy classes prior to getting Dixie so we know the commitment is there and the research has been done. Dixie needs a good sized backyard to play and burn off some energy. Dixie would be suited to a home that will be patient as she goes through the puppy stage and growing phases. If she eats your favourite shoes or something else she isn't supposed to we want her future owners to love her while redirecting her to non out of bounds chew toys. Another dog is a must, preferrably a male dog of the same size who is happy and patient and can help show Dixie how to play and grow and have a best doggy friend. Dixie will need training and lots of it. Dixie is smart as a whip and needs lots of input so she learns all she needs to know. Dixie is used to being inside and toilet training is getting there. ​Are you looking for a dog for a lifetime? If so please get touch and we can take it from there. ​Marley is the most beautiful girl who is super smart with a hint of a stubborn streak. Marley can be a bit shy until she gets to know you but after that she is your best friend. Marley would suit being an only dog and not having to share her human's attention with any other canine. One big stipulation Marley cannot be around children, not even teenagers or being approached on walks by them. Marley is just not able to cope with children of any age (this will be discussed further with any successful applicant) Marley loves quiet on leash walks without the noise and bustle of the fast paced life. Marley loves a little game with toys or her human and will run around the backyard and will follow you the house being your shadow. Marley is dominant with other dogs. Marley needs someone that will give her firm boundaries as well as consistency, time and attention. ​Marley's ideal human would be home more often than not, she has some separation anxiety and would not suit a full-time worker. Marley is house-trained and lets you know when she needs to go outside. Not good with cats, birds or other pocket pets. Marley is not for adoption outside NSW. We put 100% of all our available funds towards getting our lovelies back on their feet again. If you'd like to gift towards SSR's rescue work, please let us know by clicking the big pink button. These guys aren't ready for adoption so they do not have their own 'Apply To Adopt' button. Photos soon when he isn't so nervous. 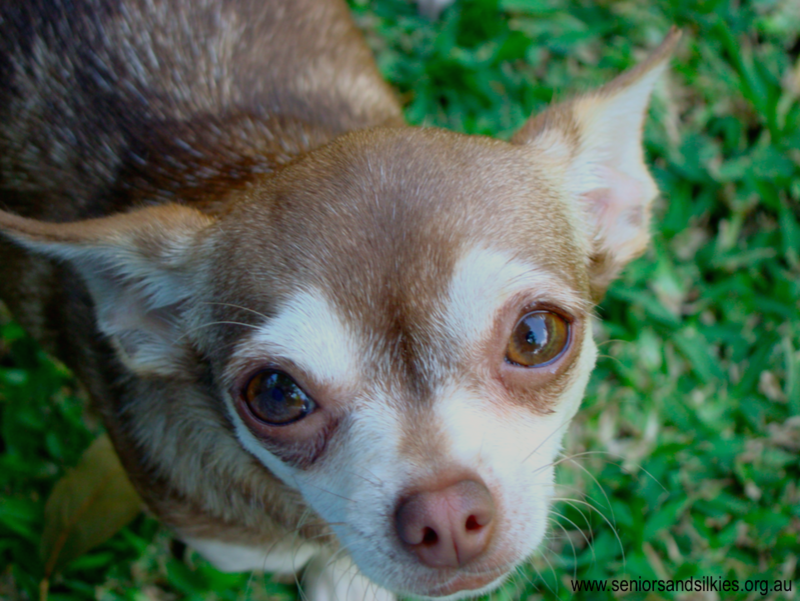 Like many Chihuahuas that come in, he is goggle-eyed with anxiety and needs time to settle in before we begin integrating him to regular life at his own pace. Forcing him to adapt will only make things worse so for now I'm not even going to stress him with a camera. He is about the size of a Mini Foxy. I call him my little blue dingo! ​UPDATE I got you a photo! He's doing so much better. He's been a dearly loved little boy, so 'rehab' is more to make sure he has his basics like housetraining well and truly in place. So far, we've found he is fantastic in the car! Loves a toy. Plays with others. And is a total snuggle-bug. A genuine delight to have around.